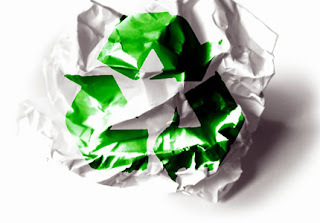 Why You Should Recycle Paper | TonerGreen - Eco-Friendly Toners from the U.S.
Every printer user normally looks for ways to lower their printing costs, which is not unusual since who wouldn’t want to save more, right? While some are already cutting their expenses by using remanufactured toner cartridges, there are still others who are looking for other ways to save. One way is to monitor your paper consumption. First of all, recycling a ton of paper is estimated to save 17 large trees, over 7,000 gallons of water, 2 large barrels of oil, and more than 4,000 kilowatt-hours of electricity. Imagine using these natural materials into something greater, aside from paper. When it comes to offices, there is a large amount of waste being dumped that is composed of paper since it is an in demand supply in any workplace, unless the office has already gone paperless. Lastly, responsible printing and consumption of paper can help a lot in reducing the waste that takes years to decompose in landfills. This simply means that you are actually lending a hand in the preservation of nature by just recycling your paper. There are so many ways to actually lessen your usage of paper. You can always try duplex printing or reusing the blank portion of your printout. Also, continue using remanufactured toners that are made of recycled toner cartridges which are truly eco-friendly for perfectly green printing.